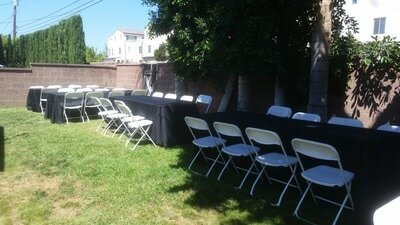 Our 8 ft Wood Rectangular Table Rentals are great for any event from weddings, birthday parties, conferences and seminars to intimate dinner parties. 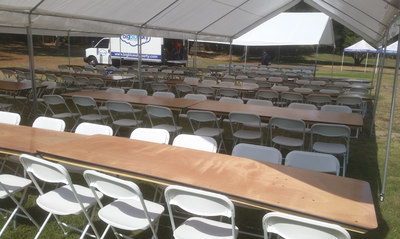 Each 8 ft long table is 30" wide and can seat 8 to 10 people comfortably. 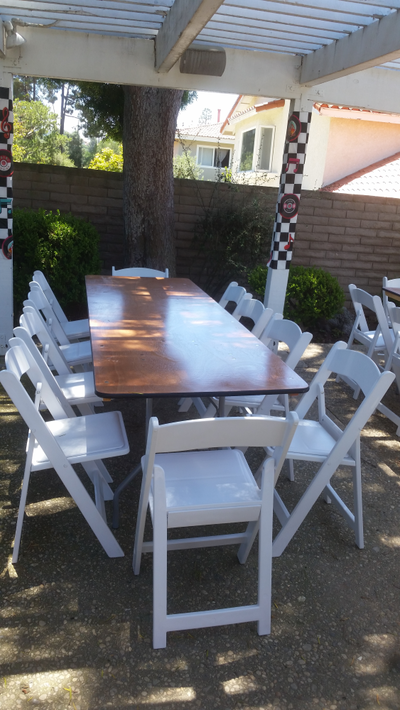 These 8 ft long tables for rent have sturdy metal legs and a wooden tabletop and can also be used to set up a candy buffet, dessert table or food buffet at your party or event. 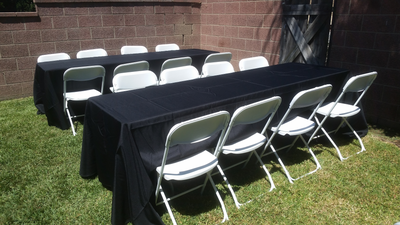 If your having a birthday party, wedding or anniversary celebration, don't forget an extra table or two for gifts that your guests may bring. 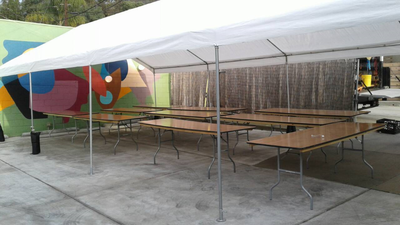 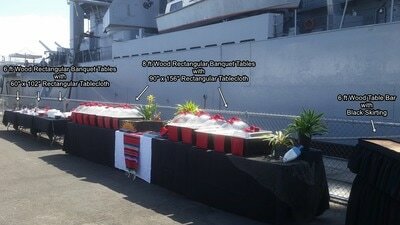 These tables can be used as they are or with our Tablecloth Rentals. 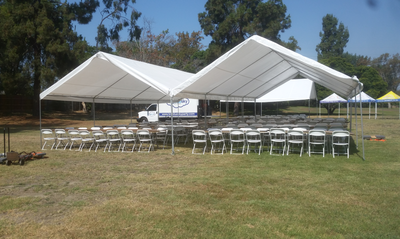 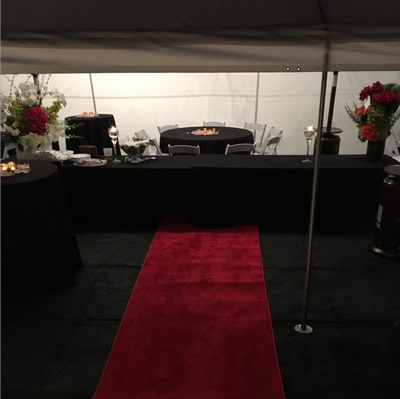 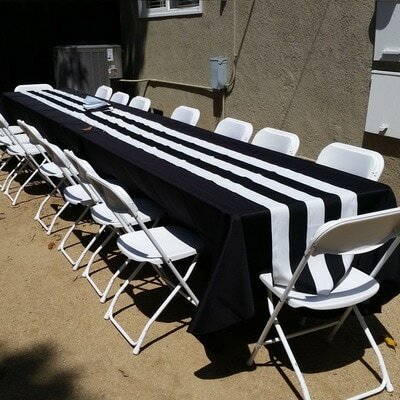 Our 90" x 156" Rectangular Tablecloth Rentals will create a floor-length drop on these tables and is available in black, white or gold. 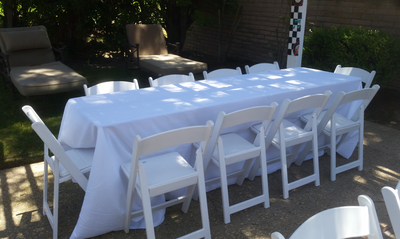 However, if you have them, you can also use your own tablecloths or table covers to decorate these tables as you wish. 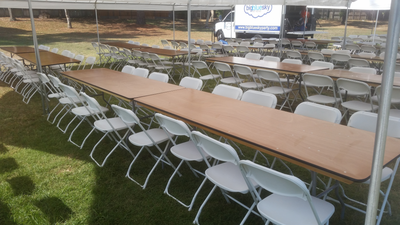 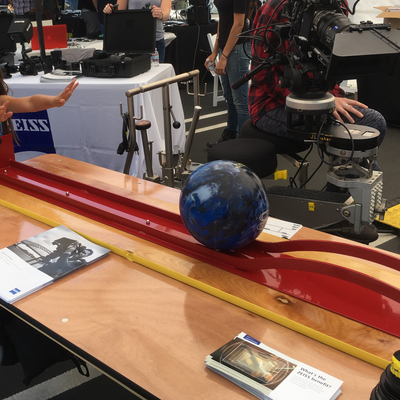 Please note, if you will be setting these tables up yourself, 2 people are required to carry and set up each of these 8 ft wooden topped tables as they are long and heavy. 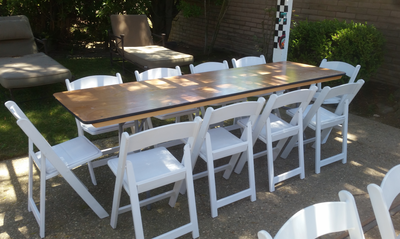 Each table measures 96”L x 30" W x 30”H and weighs 62 lbs. 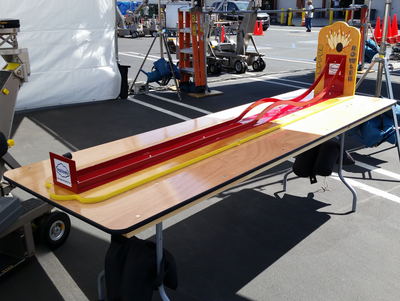 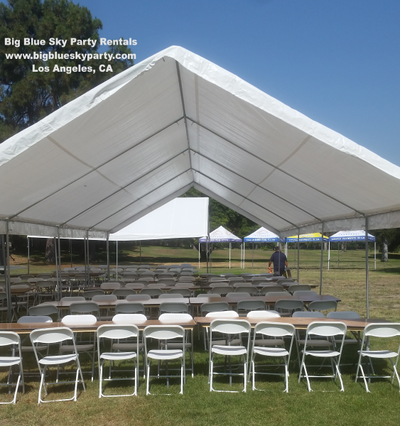 Party tables for rent and delivery in Los Angeles, Beverly Hills, Santa Monica, Calabasas, Torrance, Redondo Beach and LA County Cities.